Spiritual enlightenment is at the heart of this sacred collection from Santorella Publications. 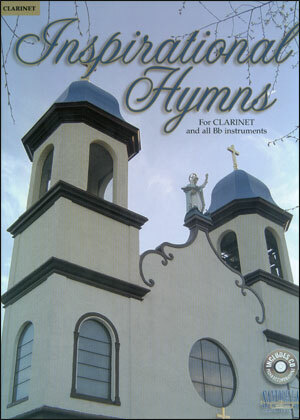 Inspirational Hymns for Flute arranged by Tony Santorella and edited by Jonathon Robbins features thirty- three well known hymns written specifically for brass & reed instruments and includes a CD of traditional (not jazz)accompaniment. Each piece is edited and arranged in a comfortable key and range for wind players of any level. A great addition to any church music library, this assortment of sacred titles is sure to bring the congregation to its feet with songs of praise. Written in accommodating keys for Bb, Eb, C treble & C bass clef instruments, now everyone can sing His praise and worship in song.